The safety of our guests and staff is our number one priority at Baldy Mt. Our Ski Patrol is made up of paramedics, first responders and other medical personnel, and provides emergency medical and rescue services to participants of sliding sports such as cross-country skiing, downhill skiing and snowboarding. Ski patrollers are the first responders on the slopes, and in the case of injury, transport patients to our medical center and arrange off-mountain treatment and transportation. If you find yourself in need of assistance on the mountain you can find our ski patrollers at the top of each lift, or in our medical centre. Remember, wearing a helmet is not a substitute for being “aware”. Being safety conscious on the slopes leads to greater enjoyment and better management of the risks that are present in all outdoor sports. Always have ski and snowboard bindings checked by a certified technician to avoid pre-release or too much forward pressure. In 2016/2017 BC enjoyed a record-breaking snowfall year, with tempting out-of-bounds conditions. We know you loved the powder as much as we did, but straying outside designated runs resulted in many rescues taking place just outside of bounds. 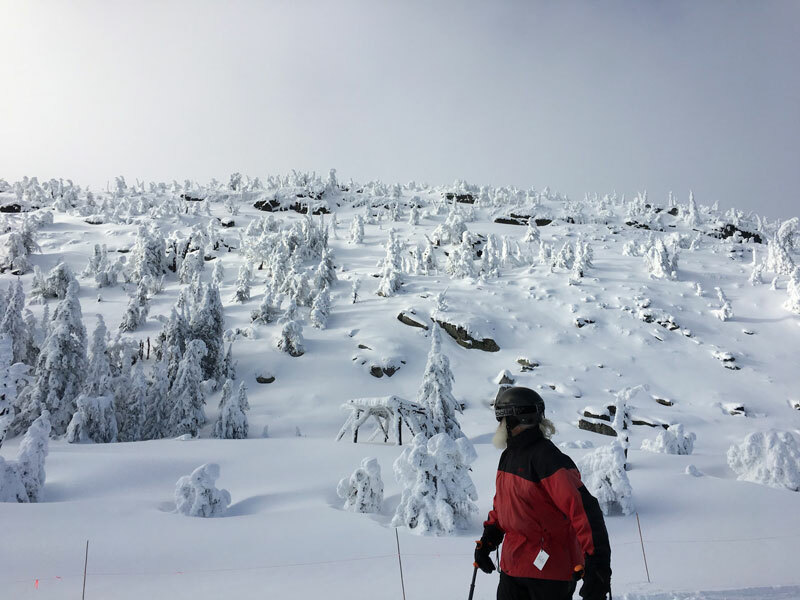 Baldy Mt has launched the “Don’t Duck Rope” campaign to help educate the local population on the risks of going out of bounds. People come to Baldy Mt to experience our epic conditions and terrain. 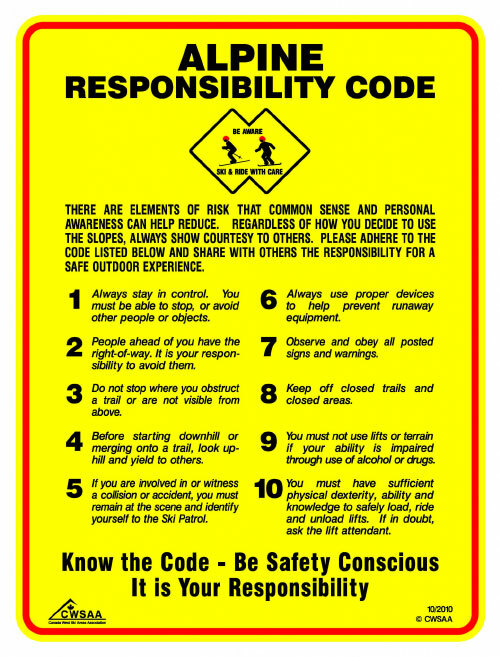 Following the Alpine Responsibility Code will help all skiers and snowboarders have a safer mountain experience. Please take the time to familiarize yourself with the code, and be respectful of other users.